Hooray! 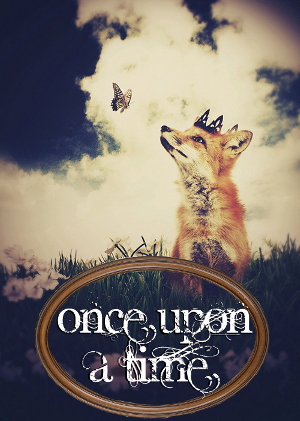 It's officially Spring which means it's time again for the Once Upon A Time Challenge! Wednesday, March 21st begins the sixth annual Once Upon a Time Challenge. 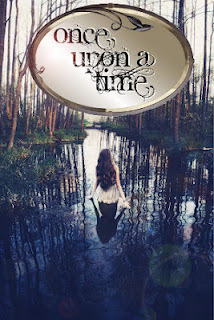 This is a reading and viewing event that encompasses four broad categories: Fairy Tale, Folklore, Fantasy and Mythology, including the seemingly countless sub-genres and blending of genres that fall within this spectrum. The challenge continues through Tuesday, June 19th and allows for very minor (1 book only) participation as well as more immersion depending on your reading/viewing whims. *Starred titles are rereads. All of these books are on my shelves except for Mistborn and The Princess Bride. Are you joining the challenge this year? What book(s) are you looking forward to reading this spring? Wait - Carl is hosting a Mistborn readalong?? I don't participate in this particular challenge, so I didn't read his opening post about it, now I must go check it out! I just started listening to the second book (just barely, like two tracks in, so I don't know anything about it yet). I'm excited to see that! The Princess Bride certainly fits the "Once Upon a Time" criteria - I hope you enjoy it and the challenge overall! Amanda - It was your positive response to Mistborn that started me thinking about reading another book by Sanderson so it seemed like serendipity that this readalong came up now! You can't possibly go wrong with Diana Wynne Jones. 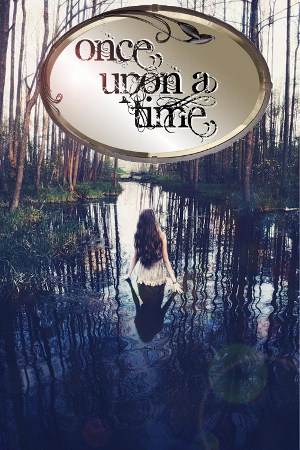 :) And I hope you enjoy The Girl Who Circumnavigated Fairyland as much as I did! It's one of the best I've read this year, though I'm hoping to find lots more wonderful fantasies with this challenge. Anywho, what an awesome list! I love Valente. I need to read something else by her. And, not reading The Princess Bride is just sad! I want to reread that, too, but I am not sure if that will happen. 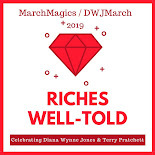 And, March is almost over and I still haven't found time to read Jones. I really want to, but my reading is weird. I'll try and sneak something in! I'm going to take a look at my TBR and see what qualifies, since I managed to miss Carl's Sci Fi Experience this winter. Thanks for calling my attention to this! Biblibio - I can't wait to read it and am not quite sure how I've managed not to read it until now! Marvelous - Never! And I hope to have a good time with Fairyland too as I went to an author event last year for it and enjoyed the parts that Valente chose to read. Kailana - I probably won't have the readalong until the middle of the month so that people who can't find a copy can buy the new re-release. That gives you time to locate a copy (or buy one again, of course)! Col - I can always find something on my shelves for these challenges and they're usually titles that I wasn't looking at already so I'm excited when I pull them out and make a little challenge stack. I hope you find something that works! This challenge tempts me every year, but since I host my own fairy tale challenge, I have decided not to join. BUT, I love the recommendations that come out of it! Keep me posted when you read Wicked again. I'm really wanting to do a re-read of that one this year! Definitely keep me posted. I don't see myself getting to it until later in May at least either. I am worried about not enjoying it as much this time around, but in previous re-reads it did get better for me. I guess we will see! !